On a perfect cloudless day, a few visitors from the nearby Equestrian Centre, reflected on the water below. 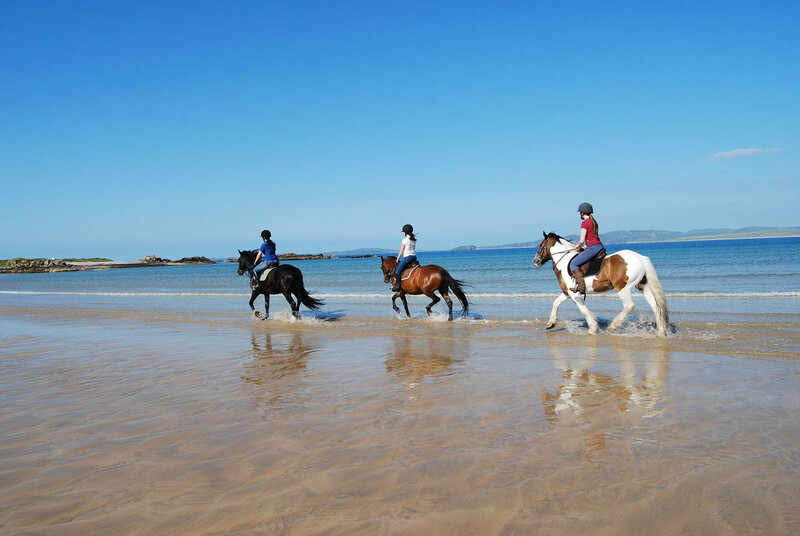 Seated in spectacular backdrops, Tullagh Bay, as described by Lonely Planet, is ideal for the bucket-and-spade brigade. It's a sandy beach with a range of wildlife, where in July and August, basking sharks and dolphins may be viewed from the beach.